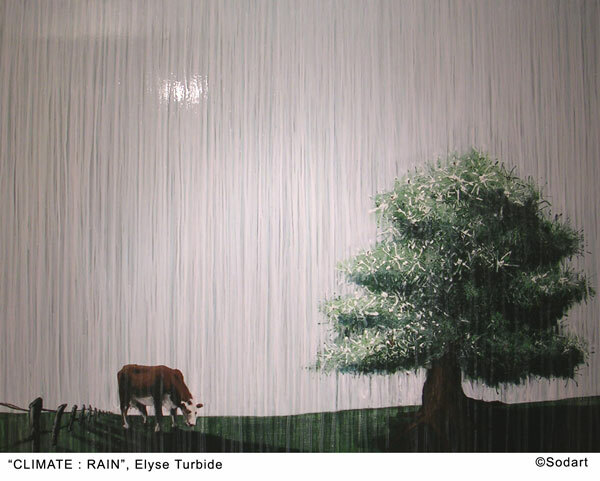 Last Thursday, I attended the opening of “À L’EAU” by artists Danielle Bouchard and Elyse Turbide with the poetic participation of Martine Quimper. The theme of this group collaboration is water. 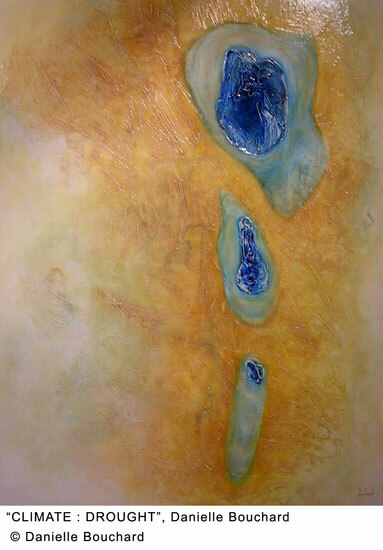 It is a research on the state of our planet’s water, expressed through paintings and poems. 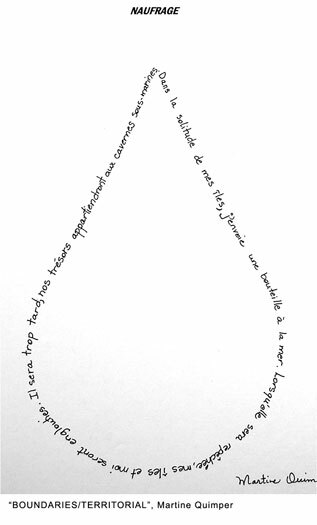 Bouchard and Turbide met two years ago and seeing each other’s works wanted to collaborate on a common project. They worked around a theme that motivated and touched them both in a personal way. 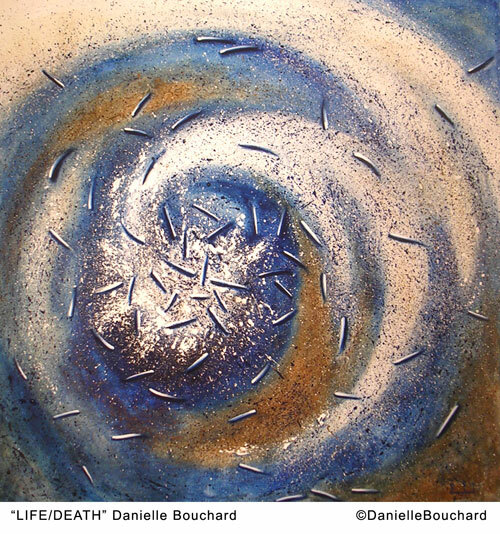 For Bouchard, the ocean is beautiful and fearful, it is life and death – many of her dreams include the ocean. Turbide, is a native of the Iles de la Madeleine, a little island in the middle of the Gulf of St Lawrence, off the coast of Prince Edward Island. 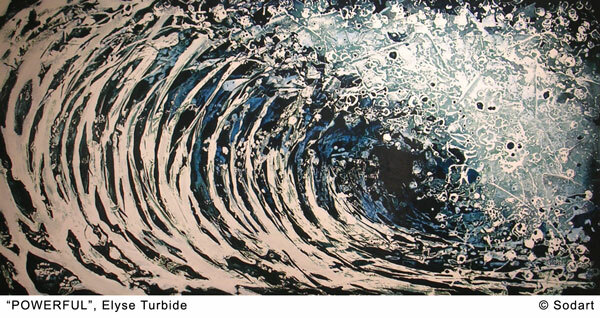 Surrounded by water since childhood, living in a region where the economy is based on what the ocean gives and takes, it comes as no surprise that water would be a recurring main inspiration for Turbide. With water as the main theme, Bouchard and Turbide worked on ten different sub-themes : climate (rain/drought), habitat, pollution/purity, economy, water management, physical condition, fresh/salty, powerful, life/death, boundaries/territorial. Each artist created one painting for each theme, using the size of the canvas as the common denominator. They invited writer Martine Quimper to collaborate on the project by writing poems for each theme. What I found interesting in this exhibition was that even though Bouchard and Turbide have very different styles and approach to their work, their paintings came together in a wonderful way. 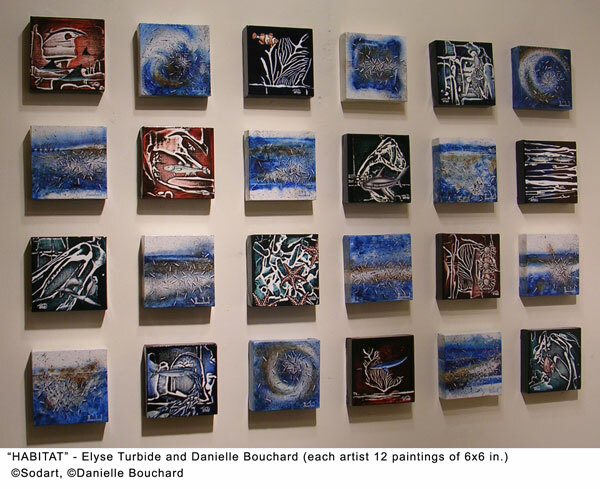 Bouchard’s style is abstract, a study in colour and effect, while Turbide’s is figurative, underlined with textures through layers of paint or collage of materials. Both, however, use a generous amount of varnish on their canvas to give a rich glossy effect that is very pleasing to the eye. Although they did not know what each was working on for the different themes, their paintings exhibited side by side were surprisingly complementary. On an intellectual level, it is stimulating to see the inspiration and approach of different artists working on a same subject, not forgetting the wonderful poetic texts by Quimper that brought the whole exhibition together.